What region leads the nation in electric car sales? Here's a hint, one of the city mayors drives a plug-in hybrid and Tesla Motors is located there. Well, that was kind of a big hint. 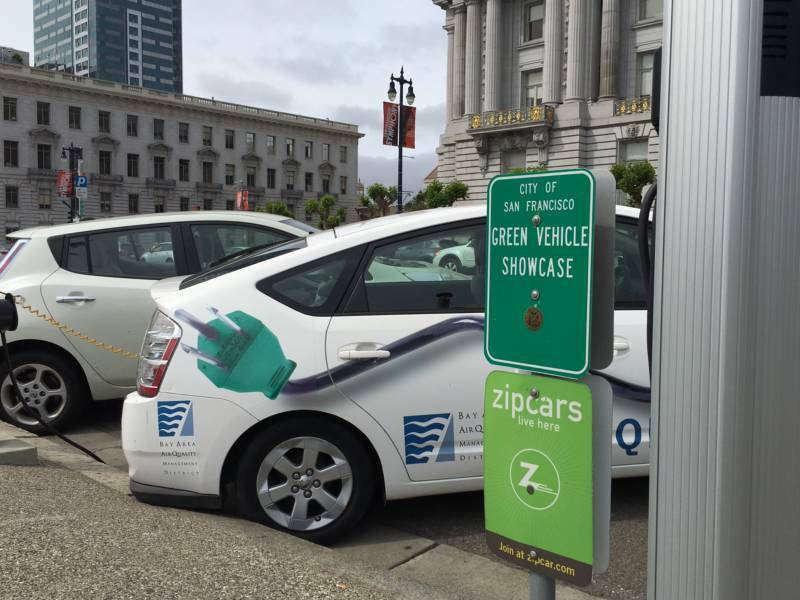 Yes, the number one market for electric vehicle adoption is the San Francisco Bay Area (S.F. Mayor Ed Lee drives a Chevy Volt). 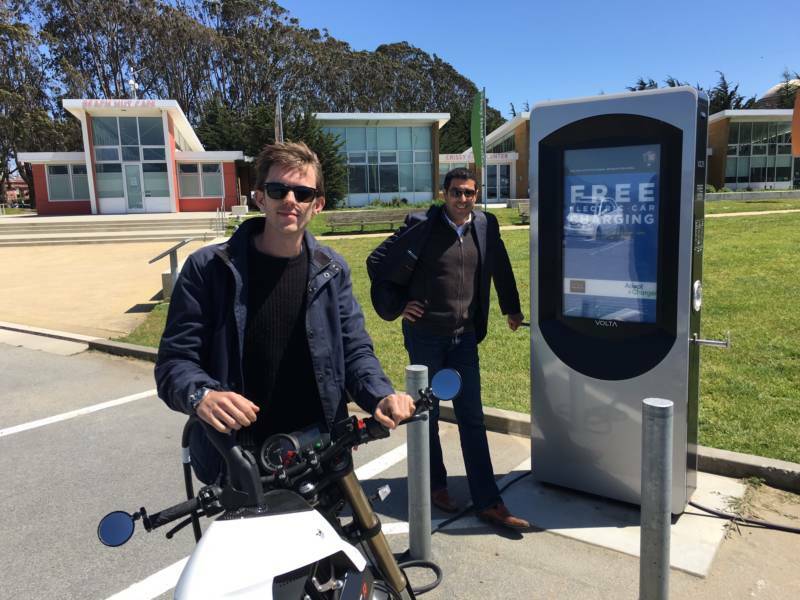 Although there are more than 100 public charging stations in San Francisco, electric car drivers can’t always find a place to plug in. Standing in front of city hall near a row of private chargers reserved for the city’s electric fleet, Maureen Blanc shakes her head. “What we don’t see here, which is very frustrating and they are probably buried in the parking garage," she says, "are the public chargers for everyday people to use." Blanc says chargers are not always accessible. Many are inside parking garages where drivers have to pay to use them. Beyond that, she says, “There are a lot of broken chargers where you pull into a garage and they are broken or they are old.” Or, Blanc says, they are in use. Aiming to grow the charging network in California, Blanc helped start an advocacy group called Charge Across Town. 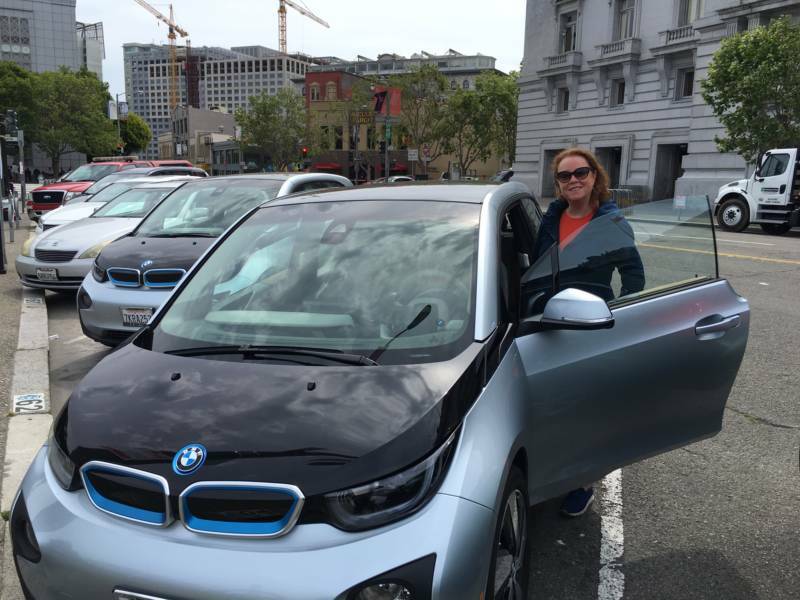 “Even though most of us charge at home," she says, "you still want to know that when you're traveling, whether it’s to Marin or the south bay or even up to Lake Tahoe, that you're going to get there and not have to worry about finding an electric vehicle outlet." But chargers cost money, says Dan Sperling, a member of the California Air Resources Board. He stresses that building charging stations can be a tough business. “The amount of revenue generated is fifty cents, a dollar per charge," he says, "and so you are not going to make a lot of money from that." Private companies have relied, in part, on federal and state grants to help build much of California’s public charging network and now some of those grants are running out. That's tough timing for the state's efforts to reach its ambitious clean air goals. California has set a goal of building an infrastructure to support a million clean cars by 2020 -- that's five times the number of electric cars on the roads now. So the public charging network is going to need to scale up. There are just over 9,000 public charging points, or outlets, in California right now. Those include 120v and 220v stations, plus fast chargers, which juice up a car in less than 20 minutes. But to keep pace with efforts to get more electric cars on the roads, the state needs at least 40,000 more charging points by 2020, according to one estimate by the California Energy Commission. By the way, those numbers don’t include Tesla’s proprietary network, which only Tesla drivers can access. To give the electric car charging network another jump start, state regulators have invited California’s major utilities into the market. PG&E has submitted a plan to roll out thousands of electric car chargers across its service area, in central and northern California. “Our electric vehicle charging program is really targeted at multi-unit dwellings and workplace charging," says PG&E vice president Aaron Johnson. "The idea is to deploy about 7500 chargers across that area." PG&E wants to build, own and operate the charging stations itself. To do that, the utility wants to charge ratepayers 22 cents a month. Johnson says the plan is meant to make it easier for customers to communicate with PG&E for all of their charging needs. “The actual site host, the customer that is going to install the charging infrastructure, won’t have to work with multiple entities,” he explains. "They will be able to just work with us and then choose from a number of providers who are available, and we'll also perform the maintenance." But PG&E’s proposal to own the stations does not sit well with private charging companies or utility reform groups. "PG&E is charging rate payers for the capital expenses to build a charging network," says Scott Mercer, CEO of Volta, a San Francisco start-up that builds free plug-in charging stations and makes its money by selling ads on them. Mercer believes PG&E’s plan is akin to a utility wanting to own a gas station. “If PG&E came to me and said I would be required to pay to build the gasoline infrastructure that would give them a monopoly to profit on selling gasoline," he says, "I’d feel a little weird about that." Mercer says utilities can help open up under-served markets like apartment buildings but he thinks PG&E’s current proposal would stifle the growth of companies like his. “EV charging is still very much in its early days," he says, "so to hand over to a utility company what is a practical monopoly seems like a very dangerous thing to do." The California Public Utilities Commission will decide on the PG&E plan this summer.